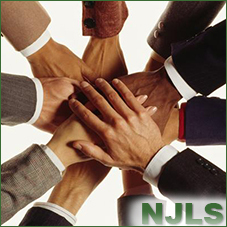 The Management team includes many of the founders and senior leaders of the various companies that are now part of NJLS (New Jersey Lawyer Service, LLC). Bob joined NJLS in 2012 as its president. Bob has more than 30 years of experience in the legal field, including roles as COO of Guaranteed Subpoena Service and publisher at both NJESQ, LLC and New Jersey Lawyer. Bob also held general counsel roles at FileOn and Prudential Property and Casualty Insurance Co. He has a bachelor’s degree from Bates College and a JD from Villanova University School of Law. Rubin has been with NJLS for 19 years and is responsible for all NJLS Next Day operations, including personnel, vehicles and safety programs. Rubin is a Navy and Army National Guard veteran who has served two terms overseas in Iraq during his tenure at NJLS. Frank has been with NJLS for 12 years, building the process serving division and then moving onto courier sales. Frank worked at Guaranteed Subpoena for 14 years as a vice president and at Spartan Detective Agency as an investigator. Anna has been with the NJLS team since 2010, after a career in sales coordination and event management. After three years as a process service manager, she took over responsibilitiesfor NJLS’ billing and collections. Joe joined NJLS in 1998, managing the operations for NJLS Same Day and NJLS Light Trucking services.